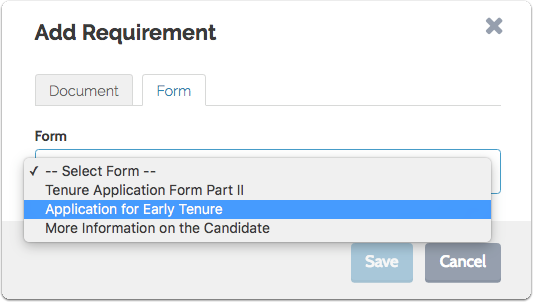 Administrators in RPT can add forms for the candidate to fill out when completing their packet. 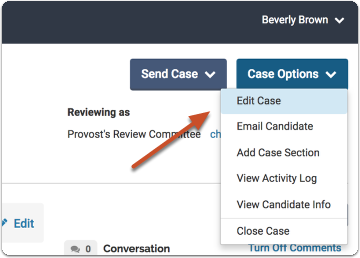 Because candidate packet sections can each have their own due date, allowing you to set when a form is due so you can gather data from candidates at various stages of a review. Form requirements are generally set from the "Packet Requirements" screen during the process of creating a template or creating a case. The instructions below describe how to add and edit form requirements when editing packet requirements for a particular case. Note that adding a form to the packet and creating forms are two different processes. You must create a form in the program before it will be available to add to case. See here for more information on how to create a new form. 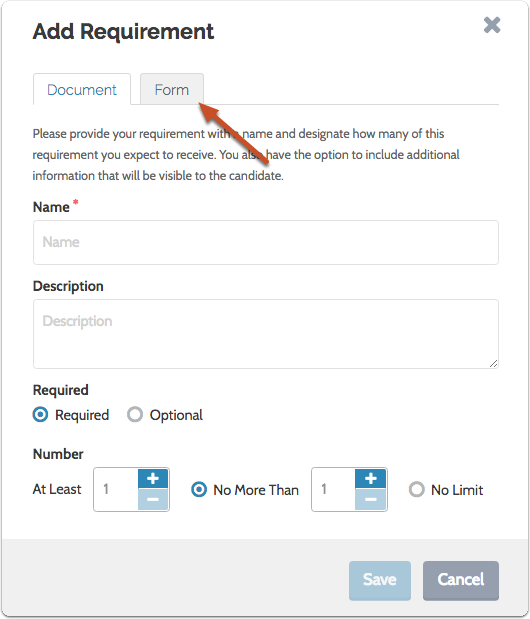 Scroll down to the "Packet Requirements" section and select "Add Requirement"
Select the form and click "Save"
Remember that forms are created from the Administration page. 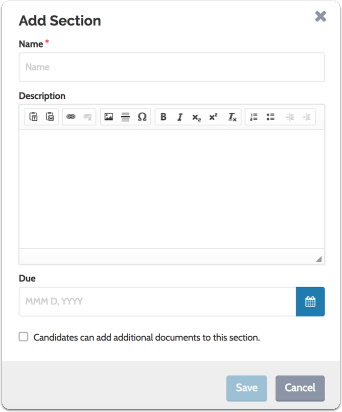 For more information see this article on how to Create a New Candidate Form. If you want a form to be submitted by a particular date, you will need to make sure it is in a section with the appropriate due date. You may need to create a new packet section in which to add your form and set the date due for the packet section as illustrated below. 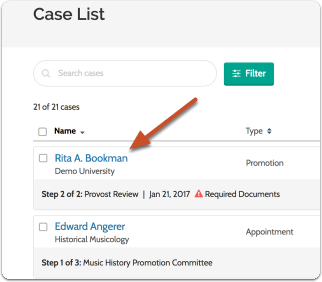 Note that you can format the description and include links that will appear to the candidate when uploading materials to the section.